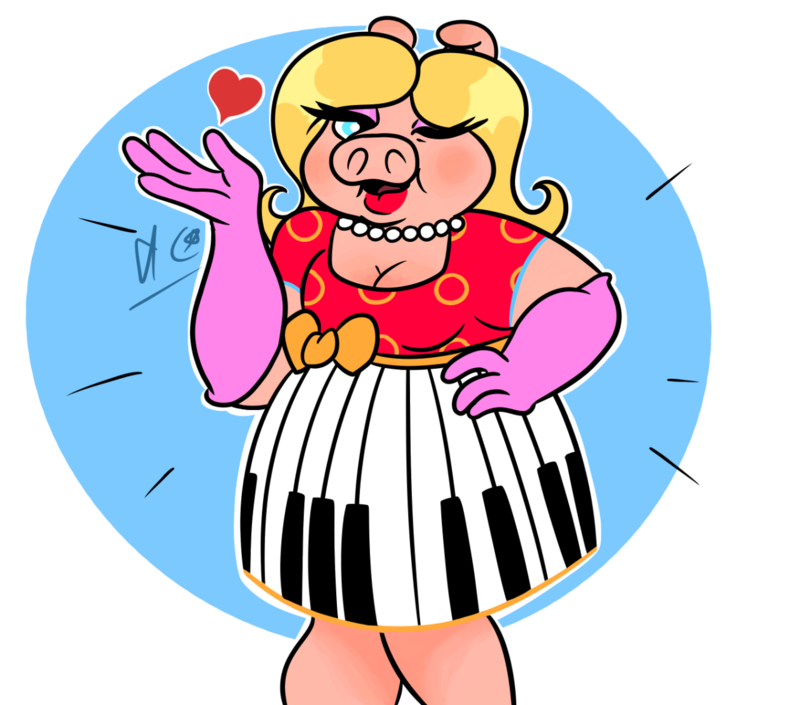 Description: Miss Piggy blows a kiss for the viewer and shows off her Minnie Mouse Inspired dress. She still has her gloves and pearls. The dress itself is pink with a yellow hoop circle pattern at the top with the skirt part patterned to look like piano keys. The waist has a yellow ribbon tied around it, obviously showing off her curves, darling! ryan19 and ConsummateVs like this. 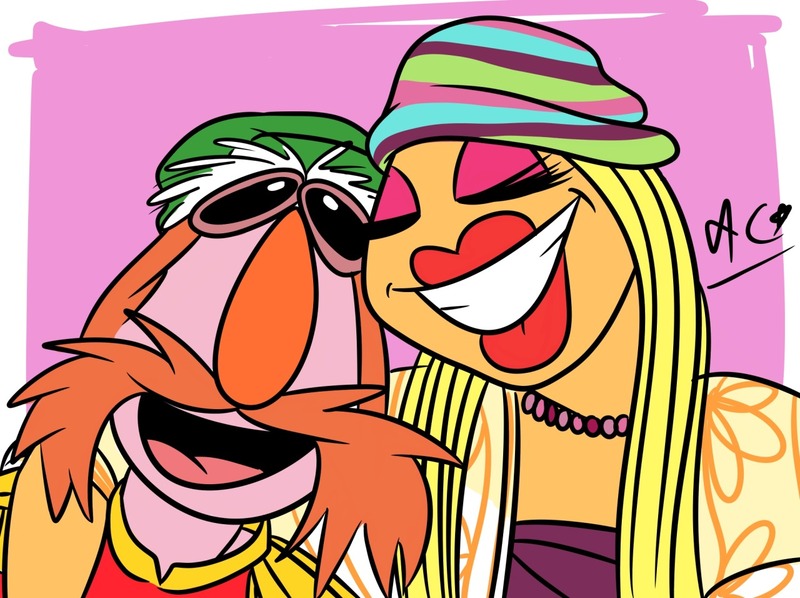 Description: Floyd and Janice take a selfie before their big gig at Outside Lands! 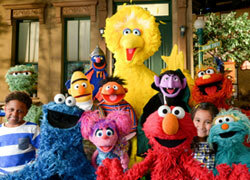 They both smile and lean into each other with Janice, being the taller of the two, has her free arm around Floyd's shoulders. Floyd wears his usual Sgt. Pepper get up but Janice wears a striped beanie, a beaded necklace, a purple top and a cream and gold cardigan (That's not right but I'm not exactly what else to call it). ryan19, Janice+Floyd<3 and ConsummateVs like this. I'm not promising anything, since it would be a looooong and tedious task but, like I said, I will see what I can do. Right now, I just want to post the recent stuff. Description: Floyd and Janice share a sweet kiss, (though the lip contact is obscured by Floyd's moustache with Floyd having to reach up to Janice's height a little while his hand run through her hair and her having her hand around his waist. They both wear beach clothes. Janice has her hair wavy with a marigold in her hair, a choker necklace, a blue bikini bra and a pink beach skirt. Floyd has his hair lose with several daisies threaded in it. His shirt has a pink and white gradient and his shorts are green. The background his a blue and yellow gradient with white hearts. Edit: It was inspired by the Lilo and Stitch version of Burning Love, hence why I'm adding these lyrics. Janice+Floyd<3 and ConsummateVs like this. Also song inspired, this time, I'm a Lady by Meghan Trainor. 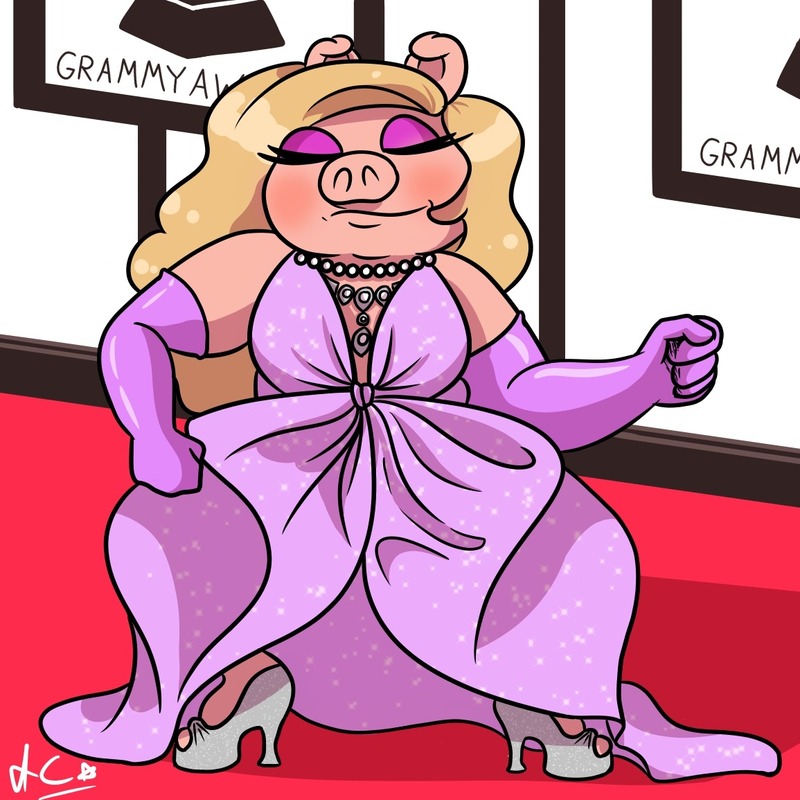 Description: Miss Piggy rolls up the Grammy's Red carpet rocking a purple sparkly dress with silver necklaces and shoes. She dances, squatting and rolling her hips and shoulders and not giving a hoot, simply celebrating herself. You must be a fan of Meghan. I'm not really. I can't stand her as a person. I just like that particular song. I like her as a person, but can't stand her as a musician. I know it's been almost a year since I posted here but I wanted to share something cool. 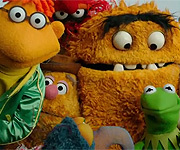 I'm still drawing Muppet fanart (I'm not dead) and I made a piece for Muppet Mindset's Fanweek, which I will share here in a minute. Instead, they wanted to do a small feature on my work, which you can see here. Froggy Fool, ConsummateVs and LipsGF4Life like this. 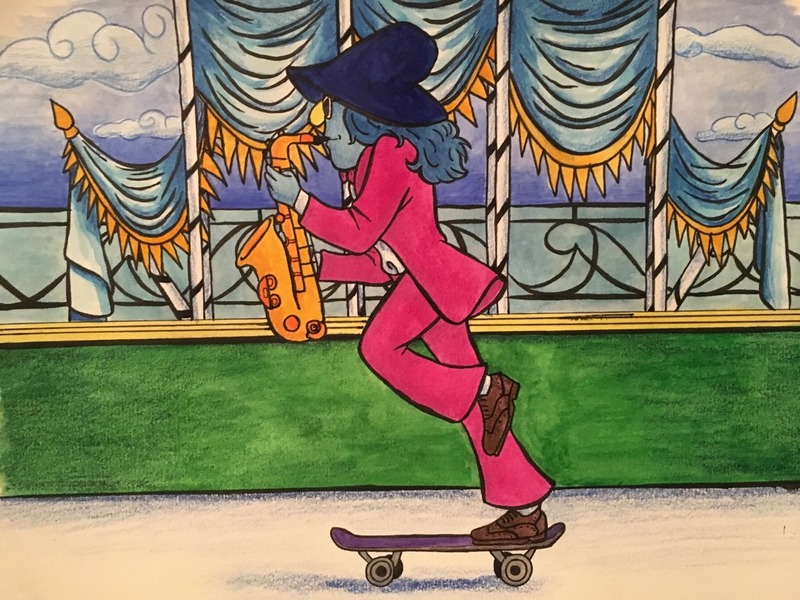 Description: Amongst a backdrop of a fancy bandstand and blue sky similar to the one from the Anne Murray episode, Zoot (in his pink band outfit and blue hat) effortlessly glides across the stage on a skateboard on one leg while playing the Saxophone. ryan19, Froggy Fool, ConsummateVs and 1 other person like this. What kind of materials did you use to make this? Thank you. What’s the link to your art website again? I lost the link a long time ago.